Hyderabad-based integrated facility management firm ICS (Ixora Corporate Services Pvt. Ltd) has acquired an undisclosed majority stake in home services startup Renowala, a top company executive told VCCircle. Joshua Kumar, chief executive at Renowala, said he will continue in his current role where he oversees business expansion and strategy for the startup while ICS will focus on operations and profitability. Devesh Sharma, director at ICS, will serve as chief operating officer of the entity’s Indian operations. 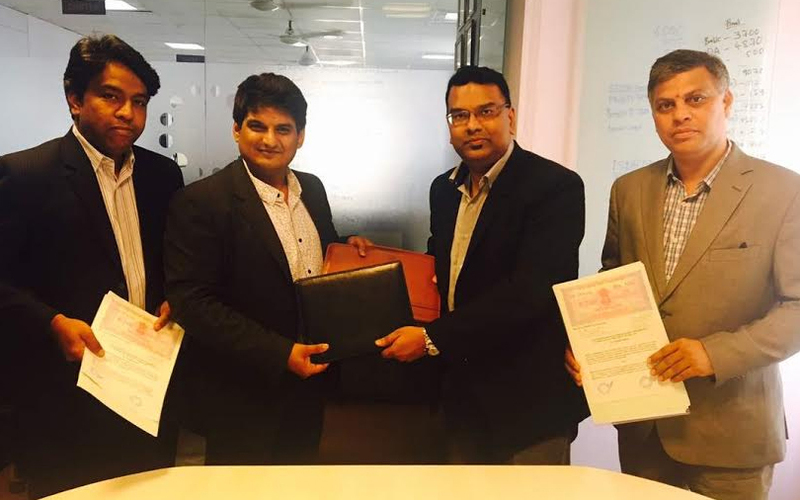 Hyderabad-based Springforth Capital advised Renowala on the deal. Renowala, which is also based in Hyderabad, will now share its office space with ICS. Going ahead, Renowala will look to expand its services across the country, besides eyeing the Singapore and Southeast Asian markets over the next five months. “Real estate is the main catch here. They are into facility management, while we are in the business of home services improvement and interior designing. The collaboration will enhance each [firm’s] business,” said Kumar. ICS, founded in 2016 by Abhishek Nath, offers B2B (business to business) facility management services such as maintenance, housekeeping, supply chain, janitor services, pest control management, engineering services, staff augmentation and training, and cleaning services. The firm employs a tech-based approach by deploying Internet of Things sensors and collecting data from its clients, which helps it produce better data analysis and predictions. “Acquiring a major stake in Renowala has [strengthened us] by adding another vertical in ICS’s digital facility’s ecosystem,” said Sharma, COO and country head at Renowala. Currently, ICS is operational in Mumbai, Bangalore, and Nagpur, and is looking for pan-India expansion besides eyeing the UK, Dubai and Singapore as its international ports of call. Renowala was founded in 2015 by Singapore-based PIO (person of Indian origin) Kumar. The company offers interior designing and home improvement services in both B2B and B2C segments. It claims to have more than 2,000 service providers from Hyderabad and 1,000 from Bangalore on its platform. The company has secured two undisclosed rounds of seed funding from logistics firm Vibrant Logtally and FMCG veteran Pradeep Dhobale. The past few years have seen the emergence of several home services firms providing handyman services, ranging from home-cleaning and car-washing to laundry, pest control and even hobby classes. While no clear leader has yet emerged, a slew of startups armed with investor cash, such as UrbanClap, Housejoy, Helpi, and Timesaverz, are looking to grab market share. The segment has also seen consolidation with better-funded players acquiring smaller firms. Earlier this month, online classifieds firm Quikr bought home services marketplace Zimmber in an all-stock deal estimated at around $10 million. In April, Kolkata-based home services firm Frapperz was to raise an additional $400,000 (Rs 2.57 crore) from existing investors, including Australian healthcare entrepreneur Shiva Gunapu and Hyderabad-based high-net-worth individual Sirish Tarumani. In the same month, UrbanClap, a well-known player in the space, raised $3.1 million (Rs 20 crore) in debt funding from venture debt firm Trifecta Capital. In January this year, on-demand maid service Didi acquired home services startup TimeMyTask.